What does the Strategic Projects Liaison do? My name is Carrie-Ann and I’m here to help you fill the Student Learning Centre (SLC) with pride and purpose beyond traditional study space. It takes a village. Or in our case, the Ryerson community to build and open a complex project like the SLC. Ryerson has seen other complex projects come to life with much success. This is why we decided to take a page from their book in best practices. If you have been to the Library recently, you’ve seen the buzz of construction activity. The renovations which are being undertaken in the Library are to prepare for and ensure ease of access to the bridge that will link the Library and the SLC. This blog post describes the physical aspect for which this bridge will serve. However, the purpose of this bridge goes far beyond girders and glass. 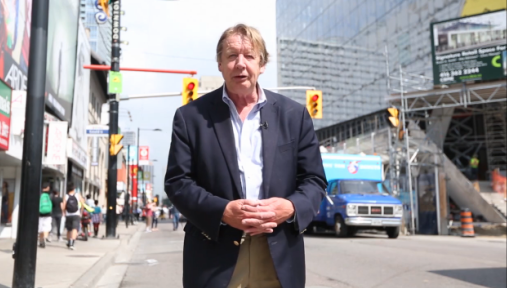 It will link Ryerson’s new front entrance from Yonge Street to the rest of campus. In essence, we are building a bridge to Ryerson. Walking off of Yonge Street, the entrance of the SLC leads to an open amphitheatre space and cafe. This two-storey tiered casual seating area houses the entrance and bridge to the LIB. The stairwell on level 1 takes you to the bridge on level 2. As you walk into the existing Library, access to the bridge will welcome you immediately and draw you over. As you walk onto the bridge, you will see the two-storey SLC entrance and amphitheatre, as well as great sightlines into the digital activity hub on level 3. When the new bridge opens, there will be a significant increase in traffic through the existing main entrance of the Library. To anticipate and to ease the flow, the entrance/exit doors are being restructured. The existing Library entrance doors will become ‘hold open’ doors allowing for both entry and exit. Placing the doors on hold open will ease the flow of traffic in and out of the Library and through to the SLC. A feature wall currently faces the Library’s entrance. Removing a portion of this wall will help with flow of traffic between the bridge and the Library’s entrance/exit. Affixed to this wall was the floor directory and the digital signage. They have been removed during the construction and will be reinstalled once complete. Their permanent home once the SLC is open is still to be determined. The way-finding kiosk and the vending machine which were located near the entrance have been relocated during the construction. The vending machine is currently near the express computer stations. 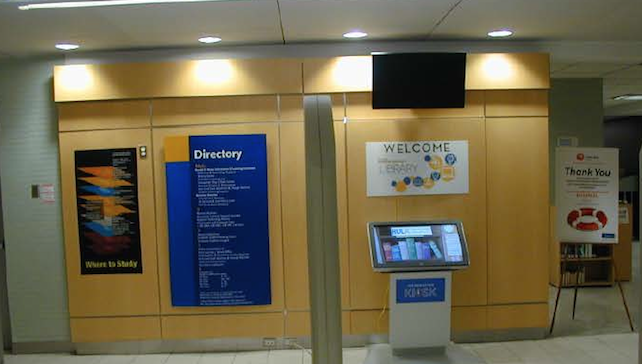 The way-finding kiosk will be repositioned near the new entry/exit doors. The existing exit doors will be closed permanently and converted into windows. All traffic will flow through the current entrance door. This will be the latter half of the project. The change in traffic patterns for the new entrance/exit access requires a repositioning and replacing of the Library’s existing security gates. The gates at the current exit will be removed altogether. The gates at the entrance will be repositioned so they will now face the Help Desk and be adjacent to the stairwell leading to the upper floors. You will see these posters throughout the renovation. 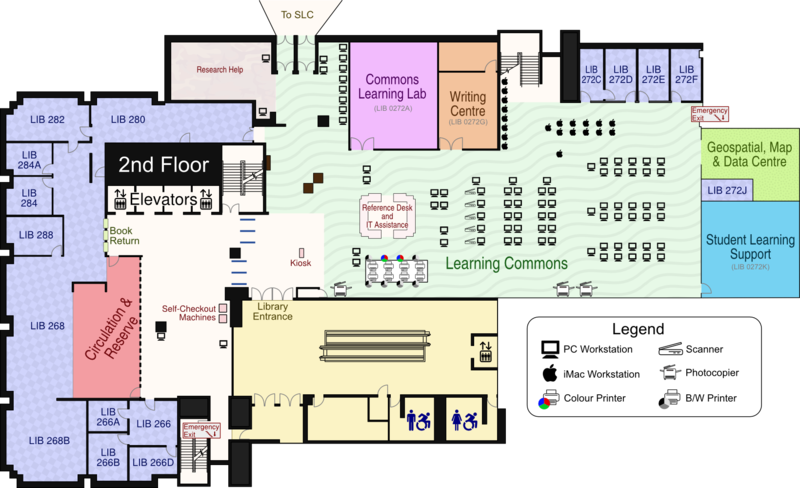 LIB renovations: If you have any questions regarding the renovations being undertaken in the LIB, please ask a staff member, or email refdesk@ryerson.ca. Student consultations have been a priority from the start of this project. Everything from space function and design to furniture selection. The Student Learning Centre’s (SLC) many unique characteristics were influenced by students who came before you. 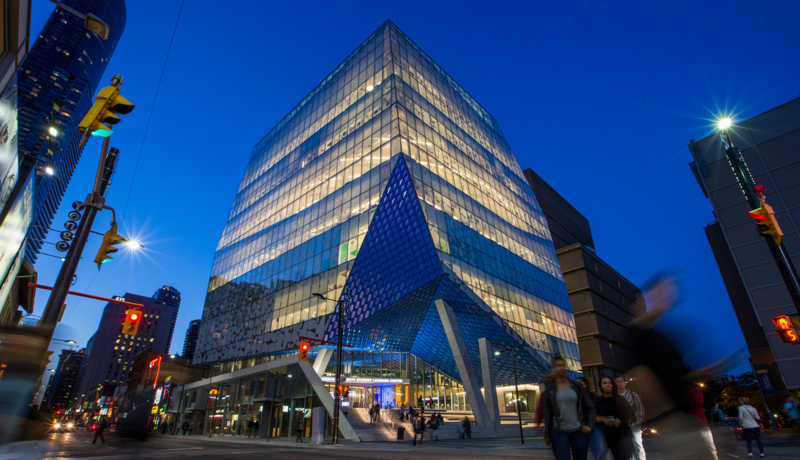 Ryerson is transforming the corner of Yonge and Gould with a stunning building that is dedicated to you: the Student Learning Centre (SLC). As the building rapidly approaches the final construction stages, everyone on campus (and in the city) eagerly anticipates its opening in early 2015. More than 155,000 square feet of new space over eight floors will provide enough room for approximately 2,300 students to study, collaborate, and share ideas. Student consultations have been a priority from the start of this project. Everything from space function and design to furniture selection. The SLC will become a physical manifestation of Ryerson’s spirit and a world-class destination for generations of students to come. Let’s take a tour and imagine yourself there.